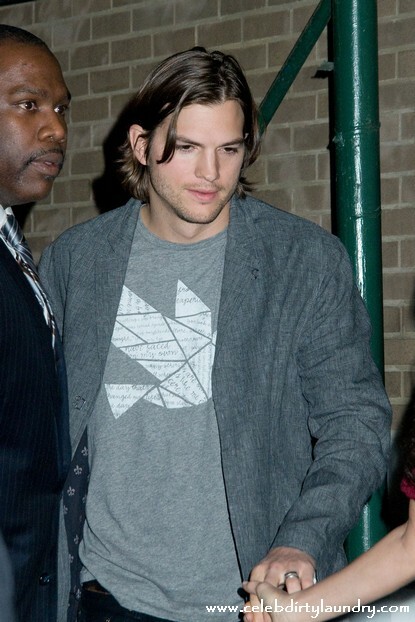 The Hollywood Reporter is reporting that two sources confirmed to them that Ashton Kutcher is seconds away from signing a deal that will see him replace Charlie Sheen on ‘Two and a Half Men.’ Demi Moore’s husband Ashton is reported to be getting mega moolah for the deal to star on the show. The deal was put together quickly once Hugh Grant passed on the opportunity. They hope Kutcher will bring a younger fan base to the show and he has a huge twitter following. I am not sure how the show will do without Sheen. Just because Kutcher has almost 7 million twitter followers it does not mean they will all tune into the show. No word yet on what Sheen thinks about this. He has completed his My Violent Torpedo of Truth/Defeat Is Not an Option tour. The tour got mixed reviews across the country. Sheen has said he plans to take his show to Europe and Australia. What do you think about all this? Do you see Ashton Kutcher as a replacement for Charlie Sheen vote below!